Quiz Night fun – thanks for coming! Home → Events → Quiz Night fun – thanks for coming! We hosted a busy, fun and successful quiz night at the Bo Peep pub in St Leonards last night. Our very own Jane tried her hand at quiz-mistressing and, despite the infuriating lyrics round, she took to it like a duck to water. 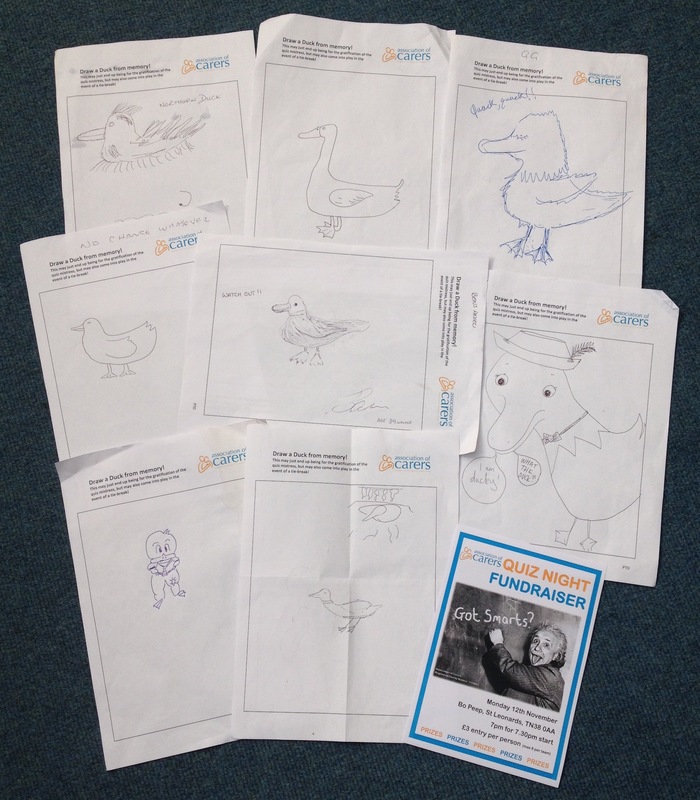 Speaking of ducks, there was even a draw a duck round – which Jane admits was mostly for her enjoyment! 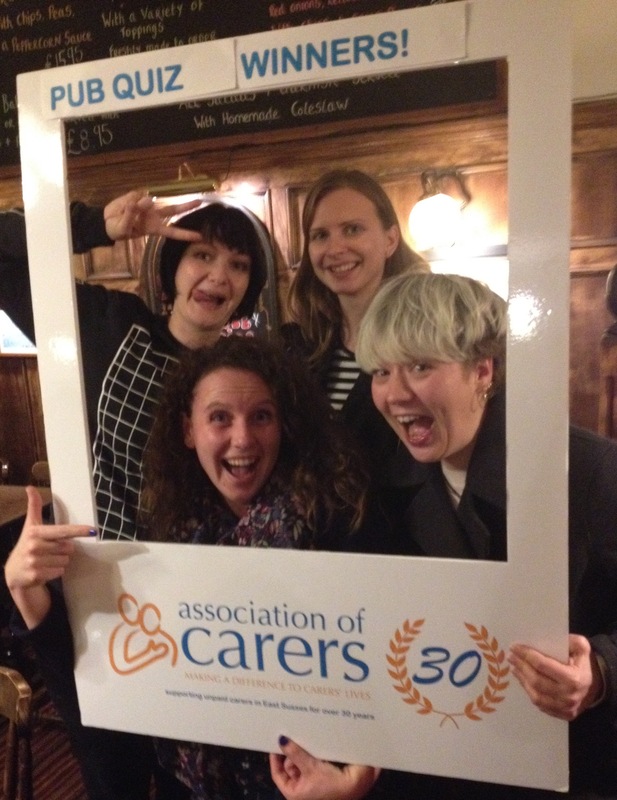 The quiz raised £205 for the Association of Carers, which will help us continue to offer support to unpaid carers throughout East Sussex, so thanks to everyone that came along and took part. Here are a couple of photos from last night. Well done to our winners, Ethereal Cereal!